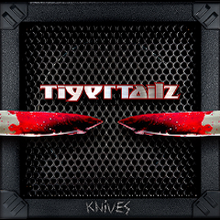 UK glam metal band TIGERTAILZ is back with a new 5 track EP "Knives", which will be released through Scarlet Records on October 22nd. Although the band released a live album entitled "Bezerk Live.. Burnin' Fuel" (2011), the last album was "Thrill Pistol" (2007). 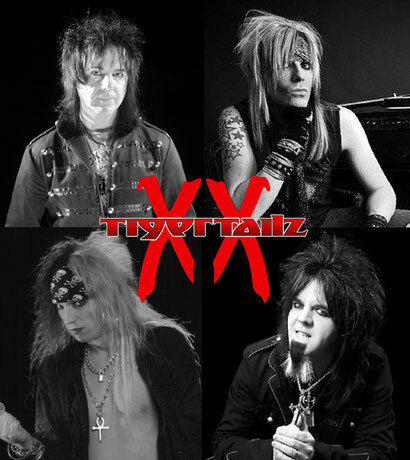 The EP is the first new music from Tigertailz in almost six years, and a new dawn that you can see the band stepped up itself on every level. Founder member Jay Pepper has reunited with longtime drummer Matt Blakout, singer Jules Millis and bassist Rob Wylde, to create a savage statement of intent. Matt who has recently played with Verden Allen (Mott The Hoople), returns to the band at a pivotal moment in its history. Hope you enjoy a resurgence of this proud Welsh classic metal band with the album. 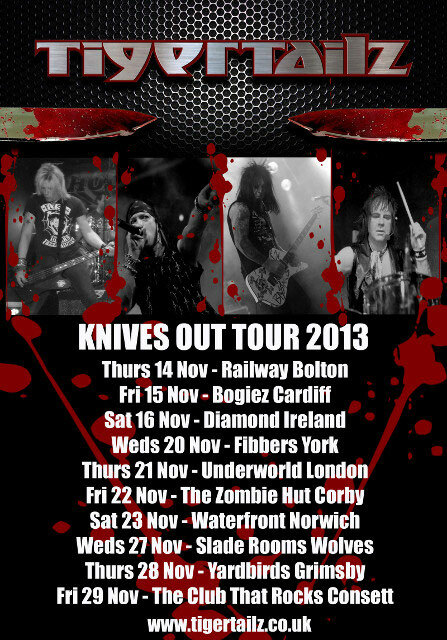 TIGERTAILZ will join HAIRBAND EXTRAVAGANZA UK TOUR 2013 in October and have the KNIVES OUT TOUR 2013 from November 14th.